FutureboxTv is a platform for video content display in specialized web interfaces, ideal for companies that have demanding communication strategies and aim to offer disruptive corporate TV experiences. FutureboxTV is a web based platform that enables you to deliver the right message in a dynamic way, with video, animated business plugins and images, in the right location at the right time. It's the ideal solution for internal TV in every stores, offices or facilities. It allows multiple broadcasts by geography and target audience and a total control over content presentation. The users can have a new interactive experience. FutureboxTv it's also the perfect solution for web communication. Due to its interactive interface and multiple information categories possibility, it can be the right platform for Internet TV, tablets or widget TV. With a solution like this you can improve brand and product awareness and visibility, inform, educate, notify, or alert your target. You can advertise while entertaining or sell your advertising space. FutureboxTV is a very powerful tool to communicate internally or externally, with your employees or customers. You can sell your product or motivate people with the same solution. Content creation and delivery in digital format has been a challenge since the beginning of the digital era. It is a continuously and fast changing market with new devices, information formats and distribution models coming almost every day. 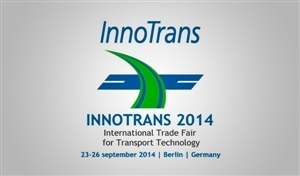 From 23rd to 26th September Viatecla will participate, alongside other Portuguese companies, in Innotrans - International Trade Fair for Transport Technology, held in Berlin. Visit us in Hall 5.1 stand number 210. APDC´s videos are now available in the new FutureboxTv version. Up Magazine distinguish Viatecla as a "Portuguese success case". See the videos of the 21st Communications Congress in http://tv.apdc.pt/. Viatecla was present in one of the greatest Brazilian events, in tourism. Viatecla shares its latest technology news. Communicate with your audiences in an innovative way with FutureboxTv.